I’m back!! Have you missed me because gahhhh I really missed you guys! It’s been a few weeks since my last video recipe post because I’ve been insanely busy moving, cleaning, unpacking, decorating and preparing for end of year homeschool testing. And did I mention getting a new blog design!!! YAYYYYY! Look around don’t you just love it?!? I”ll talk more on that in a separate post. Oh yeah and I’ve also been taking care of a new puppy! What was I thinking getting a new puppy during such a hectic time? I’m EXHAUSTED but isn’t she so adorbs!?! 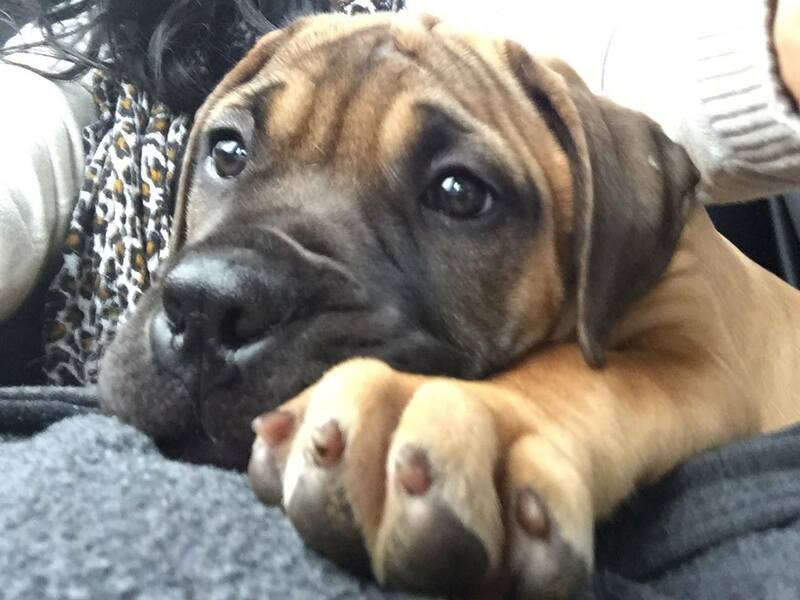 I’ve wanted a bullmastiff for over 12 years and I can’t believe I finally have her! I asked you guys for name suggestions on my Facebook page and boy did you all come through! Over 300 name suggestions. The name Diva and Cookie got the most votes I believe. Coincindently , I already have a chihuahua named Cookie. We decided to name her Zonka! I wanted a name that sounded BIG since she is expected to be in the 120 lb range. It fits her just fine and she already responds to it. Meanwhile, not much has been going on in the kitchen lately since I’m still pulling pot and pans out of boxes but I did have time to bake up this perfectly sweet and tart glazed lime pound cake! Just in time for St. Patricks Day! 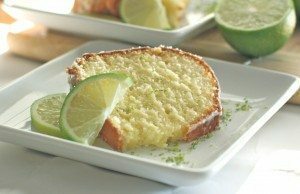 I couldn’t understand why I’d been getting so many requests for key lime everything and then it finally dawned on me “duhhhh Monique! St. Patricks Day is coming up!” I’m telling you guys, my days have been a total sleep deprived blur. I hope to be back into the kitchen and back on some kind of blogging schedule by next week. It felt so good to be baking a homemade cake in my new kitchen. 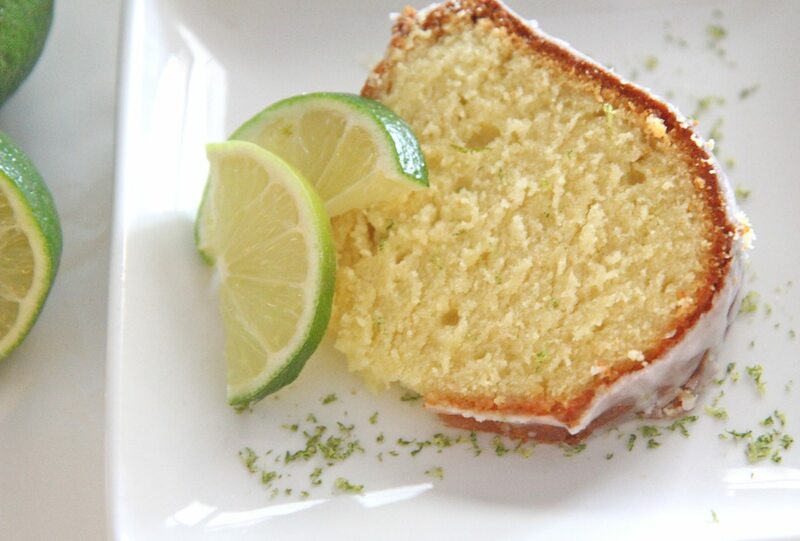 Something about baking with lemons and limes make me happy! 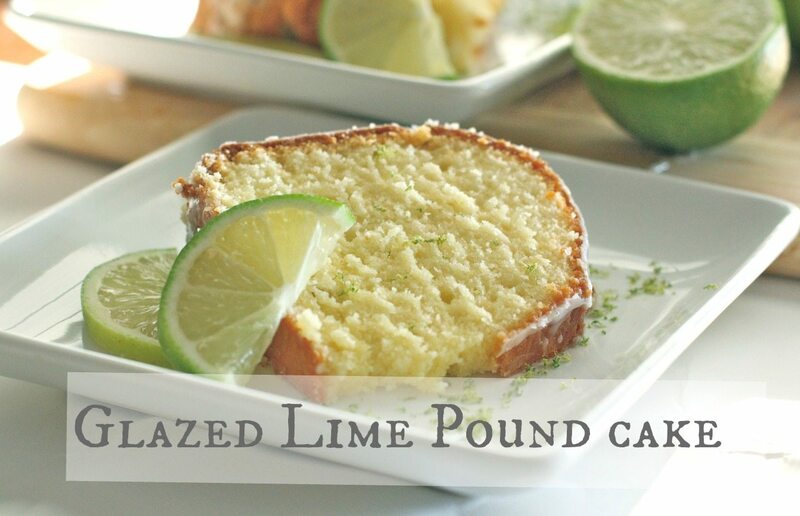 I think this glazed lime pound cake will make you happy as well. 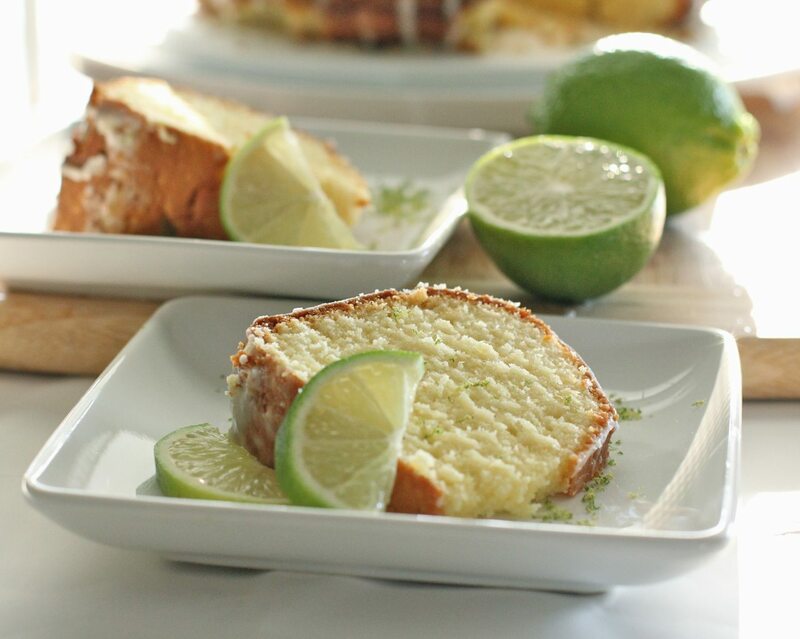 It’s velvety soft with a light and fresh lime taste and a bold, sweet and tart glaze. My husband has been eating it for breakfast these past few days. Neither of us are real big lime dessert lovers but this cake was a nice change of pace. 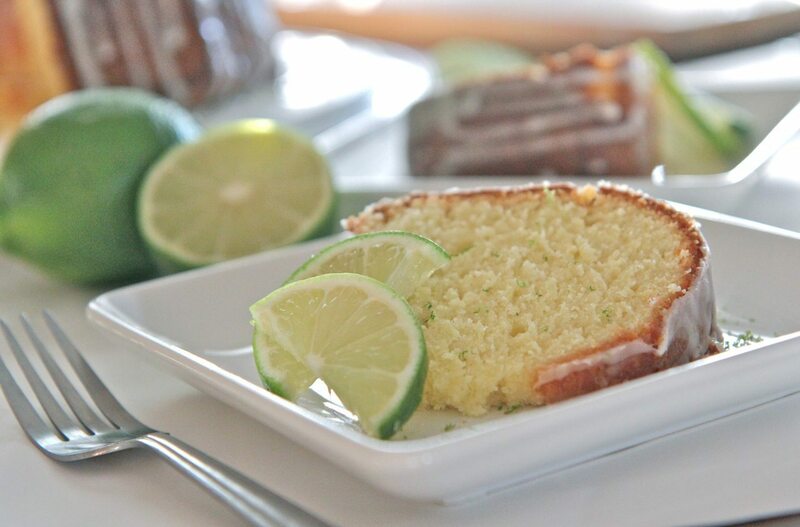 It has a certain elegance about it when it’s all dressed up with glaze, fresh lime slices and lime zest. Throw on some vanilla ice cream or homemade whipped cream and you really got something good going on. It’s light yellow in color but you can add in a drop of green food coloring to give it a green tint. 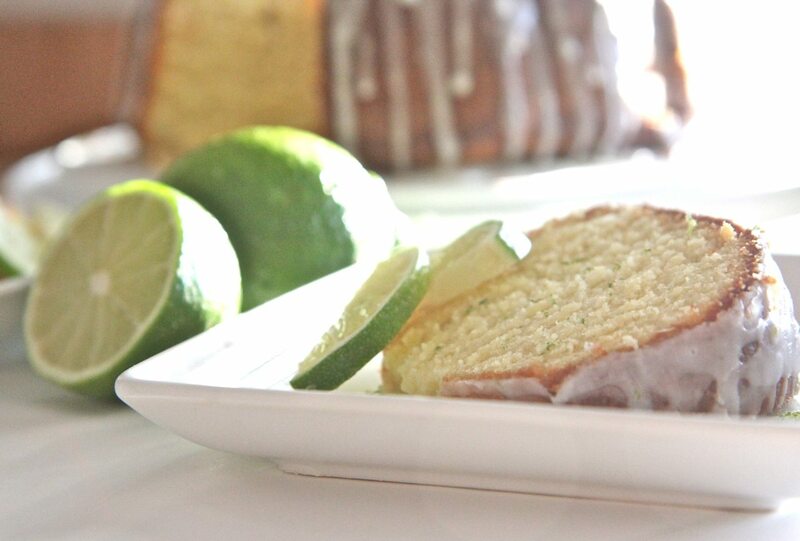 Watch me make this homemade glazed lime pound cake from start to finish! In a medium bowl sift together flour, salt and baking powder. Set aside. In a large bowl cream together shortening, butter and sugar. Beat in eggs one at a time until batter is fluffy. In a small bowl, mix together buttermilk and lime yogurt. Alternate adding the buttermilk yogurt mix and the dry mixture into the wet batter. Mix in vanilla extract, lime juice, and lime zest until well combined. Let cake cool before gently removing from the pan. When cake has cooled completely drizzle with glaze. To make the glaze, mix together powdered sugar and enough lime juice to create a thick, yet pourable consistency (think Elmer's glue) Stir in lime zest. 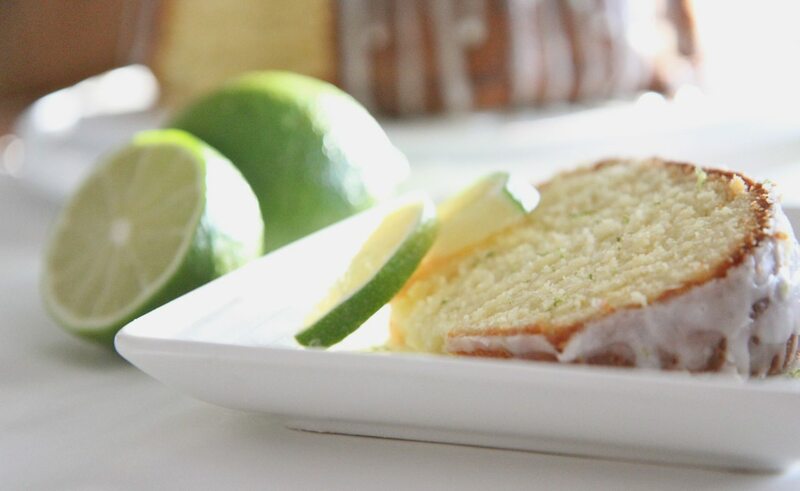 Serve cake garnished with lime slices, a sprinkling of lime zest, and vanilla ice cream or whipped cream.